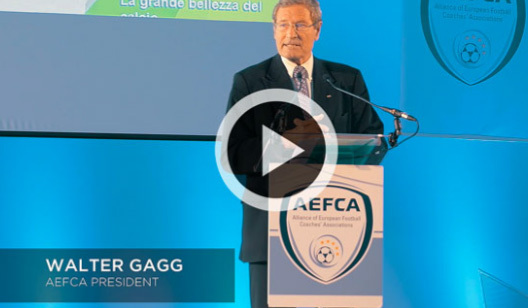 The Alliance of European Football Coaches Associations (AEFCA) held last month its 37th annual symposium. Co-organized with the Italian Football Coaches Association (AIAC), it hosted the 49 national associations on the 3rd and 4th of November in Como, Italy. As a reference of the great hours of the Italian cinema, the devoted theme « La grande bellezza » (The beauty of football) has been chosen to base lectures on the game and its speciﬁc features.